I love discovering new ways to use my Cricut cartridges. When I first got my "Life Is A Beach" cartridge, I couldn't stop staring at the lighthouse. 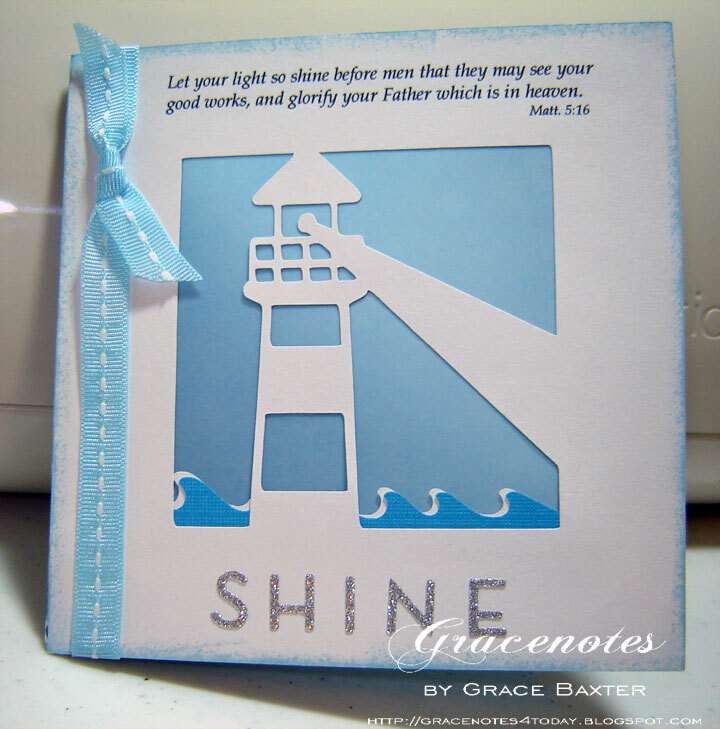 The well-known gospel song "The Lighthouse" immediately came to mind and I knew I had to design a card using this theme. There are several Bible verses that talk about our being light, and letting our light shine. So that was IT! My "SHINE" card was envisioned and I got busy figuring out the best way to use the elements of the cartridge. The image at the right shows the various components of this card. Using the Square Card feature, I cut the base out of a beautiful sea green, at size 5. I knew I wanted the window to draw me in, but I wanted to camouflage whatever writing would go inside later. Also, for stability, the lighthouse needed a sheer but sturdy backup. The answer? 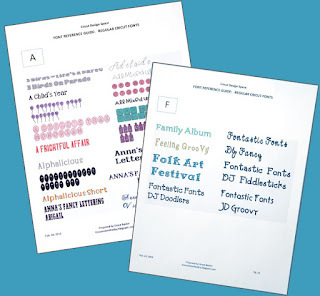 Vellum, of course! White was too lifeless. Blue was perfect. I love how sheer and pretty it looks when the light filters through. Before attaching the vellum, I cut a strip of waves; one in aqua, and one in white for the whitecaps. These are staggered and glued to the back of the front panel. Now I was starting to get excited! The whole time I worked on this card I kept thinking about the song, remembering that Jesus truly is my Lighthouse and how amazing that is. He is also the "Light of the world"! Getting back to the card... next, I attached ribbon over the white front, using a simple knot. With all my parts cut and ready to assemble, I made a sandwich of the three layers, placing the vellum between the front panel and the green card base, being careful not to let any glue show through the vellum. The cardstock, being green, needed a white writing panel. That was easy. But oh the seagulls! Love them. I lightly shaded the edges of the white birds to give them a bit more life. 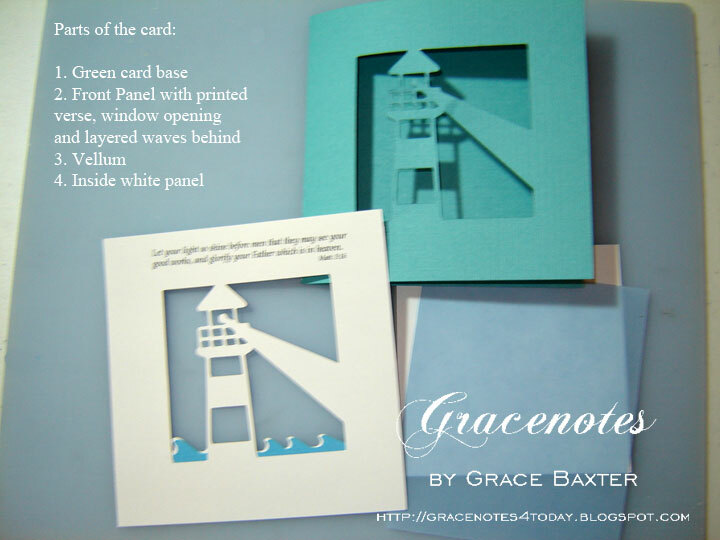 The finished card is one-of-a-kind, as of this posting date. 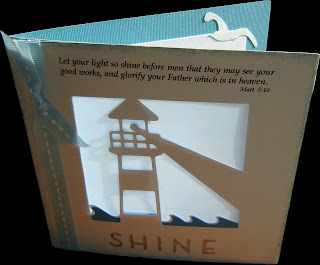 I love everything about it... the Bible verse at the top, and the light streaming from the lighthouse onto the waves. It so represents my life. I am saving this card for a special recipient. Since it took quite awhile to make, with extra time spent on figuring out the placement of printing the verse in the correct spot, this one is my BABY. Each time I look at it, I receive a blessing. I will probably make more of these, once I get over being so attached to this one. 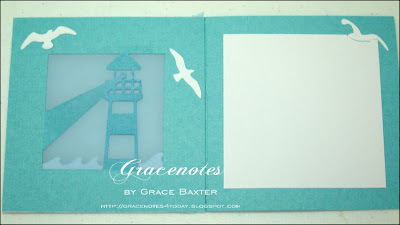 You have no idea how I held out before positing the details on my blog for this card. All I can say is, I encourage any of you reading this today, thank God for his careful watch over your life every day. Thank Him for HIS Light. And then... let your light SHINE for all the world to see! Lovely. Very pretty. Your cards have a classy look. They look expensive and very well made. I love this card...The Lighthouse is one of my favourite songs! wow grace this is beautiful! I'm loving your bible themed cards. What a way to use your gifts! you really are letting your light shine.